We woke up this morning with a ton of condensation on the tarp. It was a cold night, with frost everywhere and the little ponds frozen over. It's been months since I've seen that. 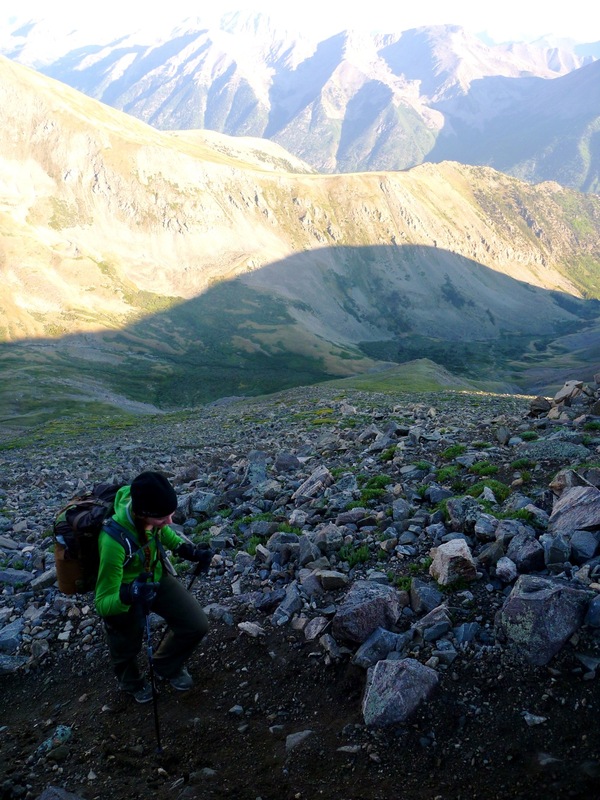 We packed quickly and began the steep climb to the top of 14,203 foot Mount Belford. One again Elaine set the pace. There were a bunch of switchbacks right off the bat, and it was steep going, but even wearing a wool long sleeve shirt and a ski cap we didn't overheat – it must have been hovering in the high 20's. Last night was the first night I felt a chill in my sleeping bag, a Western Mountaineering Summerlite rated to 30°. Elaine was setting a fast pace, and we managed to sneak past a couple who camped near us last night. 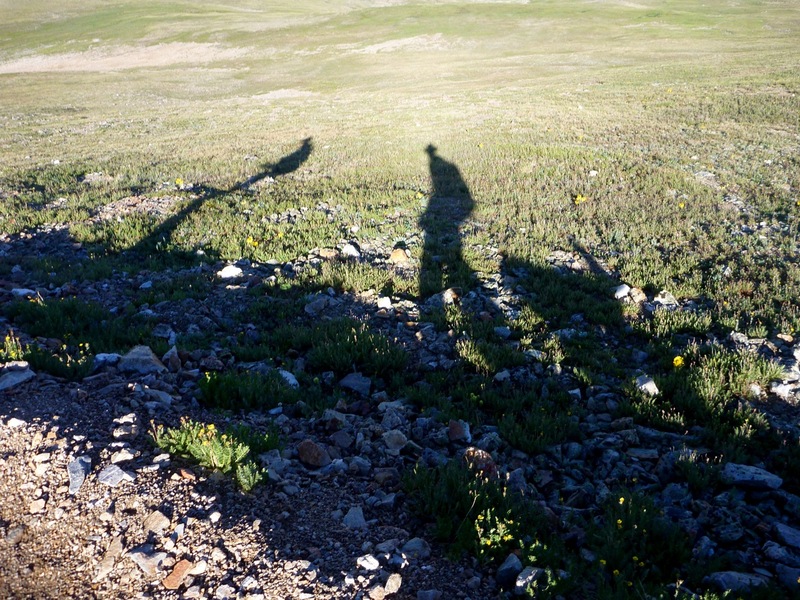 Up still, enjoying the sun shadow hugging the eastern ridgeline. After an hour and a half of stiff climbing in the cold Rocky Mountain air, we crested the top of Belford. It was quite smokey to the west – hopefully the rest of the route isn't burning – but the views were excellent in all other directions. We're really up in the mountains here…the very heart of the Colorado Rocky Mountains. We quickly killed any notion we had of doing Mount Oxford – we had miles to cover and Durango is a long way away. Just as we left the summit the couple we passed came to the top. Nice conversation and good people, so we gave them a 20% off coupon to Neptune. I feel a little weird handing those out, and have refrained from doing so, but these folks lived in the Front Range and seemed genuinely psyched. We also saw another guy blaze over the top, hit his stop watch, and proceed on with great haste to Mount Oxford. He didn't even stop to look at the view or say hello. 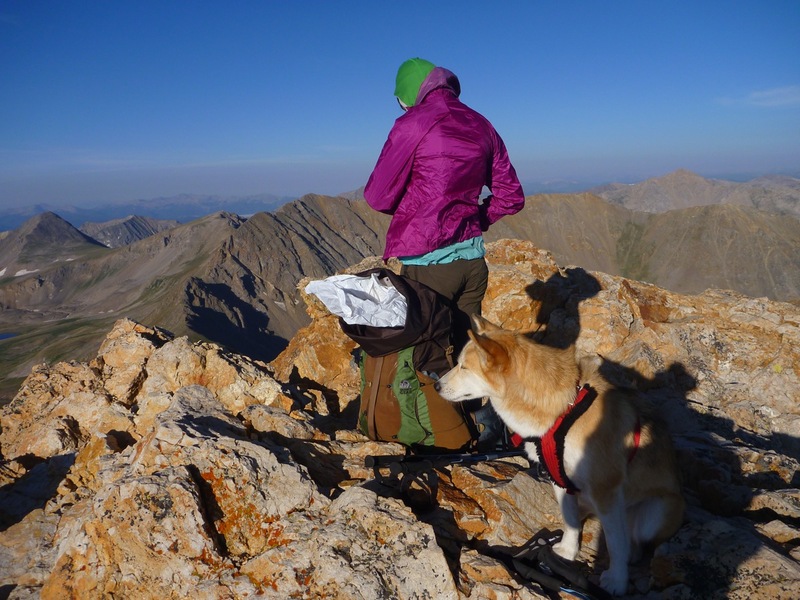 14er bagging is a popular pasttime in Colorado. 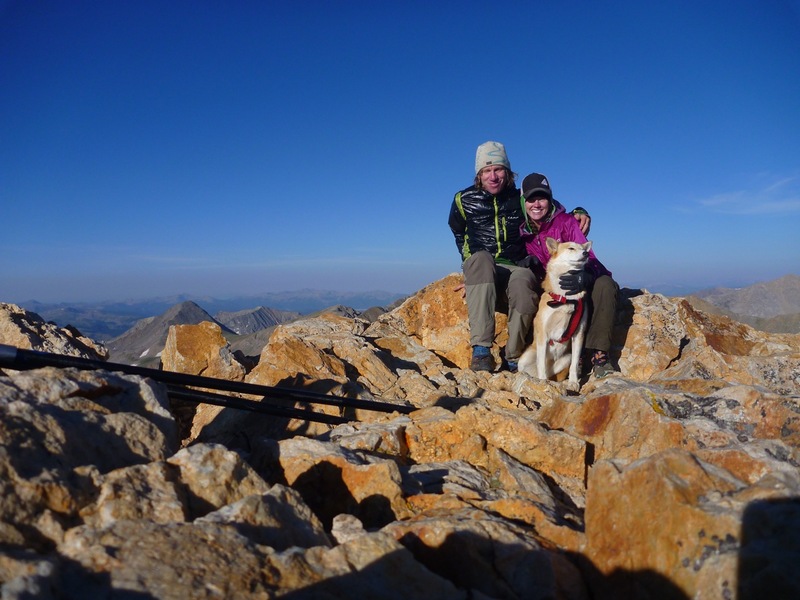 I admit I enjoy climbing and even better skiing 14ers – they have a mystique about them and the extra height is noticable. Still, I find it strange that Colorado has a plethora of 13,000-plus peaks and you can climb them in almost complete solitude, while the 14ers have droves of people and all the issues that goes along with that. Sometimes I wonder if this pursuit of 14ers is really about being in nature or just about checking off a list for the type-A's out there. Ah well, I suppose it's good either way. There are bigger things in life to get worked up about. 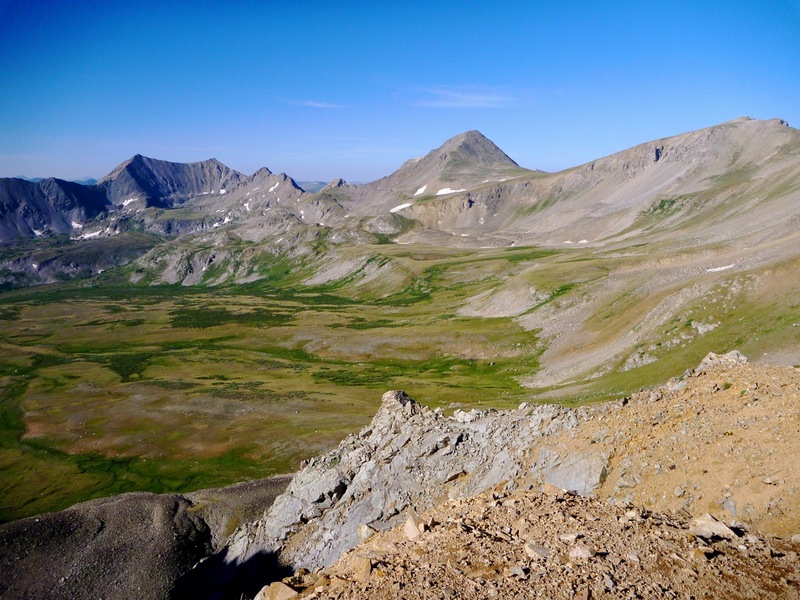 We began the descent to Elkhead Pass (it's a saddle between two high peaks) and the stunning Missouri Basin below. 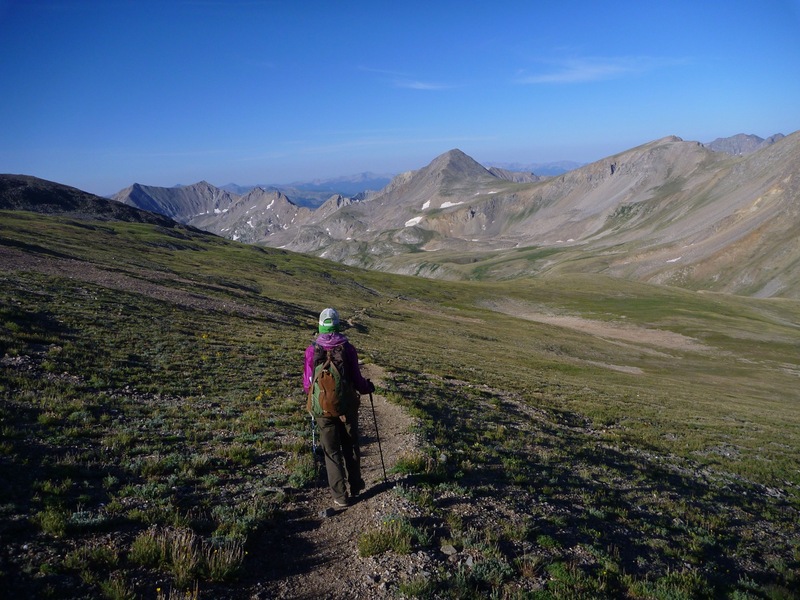 More irony – Missouri Basin was much more spectacular than the main approach to Belford, but because it's not a main 14er access route, there was absolutely nobody in there. We must consider a spring ski trip here this coming winter. It'd be a long slog in but completely worth it. The light in the morning was good and the birds seemed happy – they were chirping up a storm. As dawn proceeded into late-morning I got kind of hot and felt a little bonk coming on. A concern for me on this trip is a lack of food, as I am skinny to start with and don't have much on me for reserves. I've had issues on past NOLS trips around day 20 to 30, and this trip involves many more miles and calories burned. I guess we'll take it as it comes. I ate some food and felt better. We headed down the basin, off the tundra and into a wide open valley that was straight out of a wild west movie. 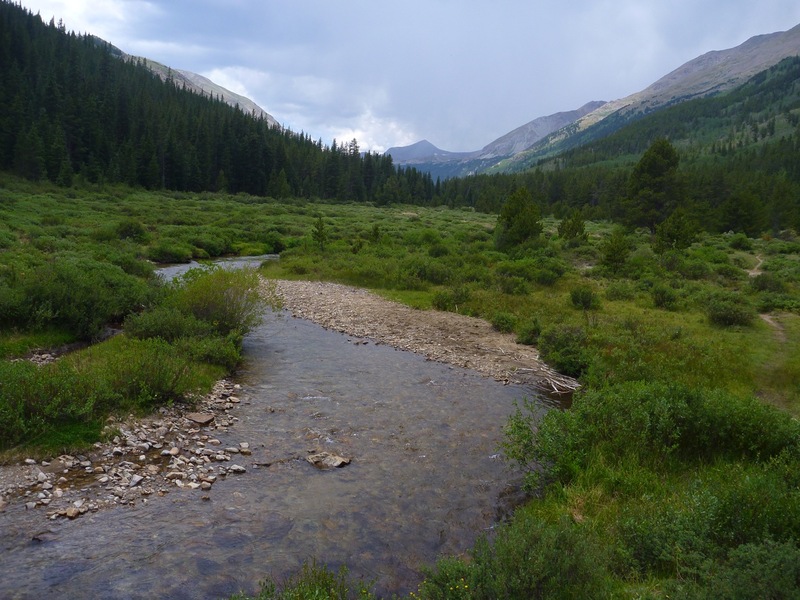 There was a winding river heading down the middle of sage valleys intersperced with pine forests. 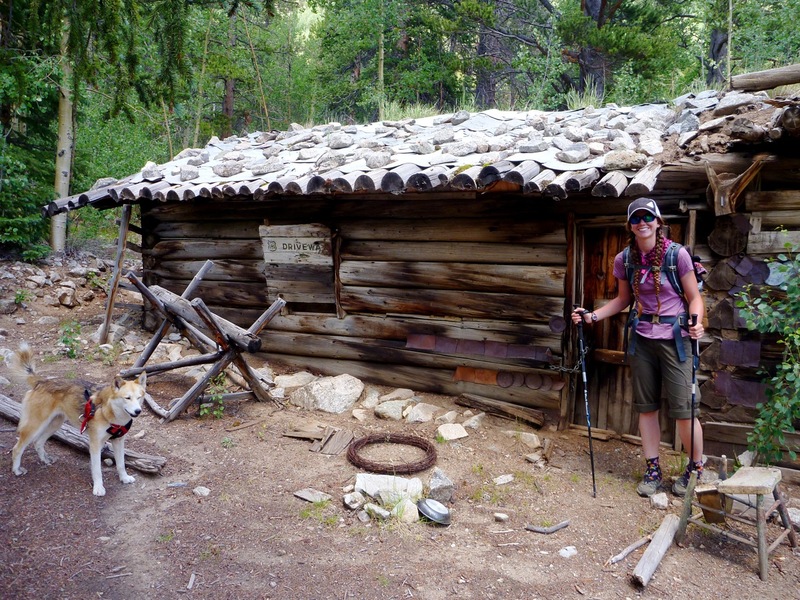 We came across an old cabin outpost and lots of century-plus old ramnants of human inhabitation. A tough life up here I imagine, but the views make the "Seven Wonders of the World" seem mundane. 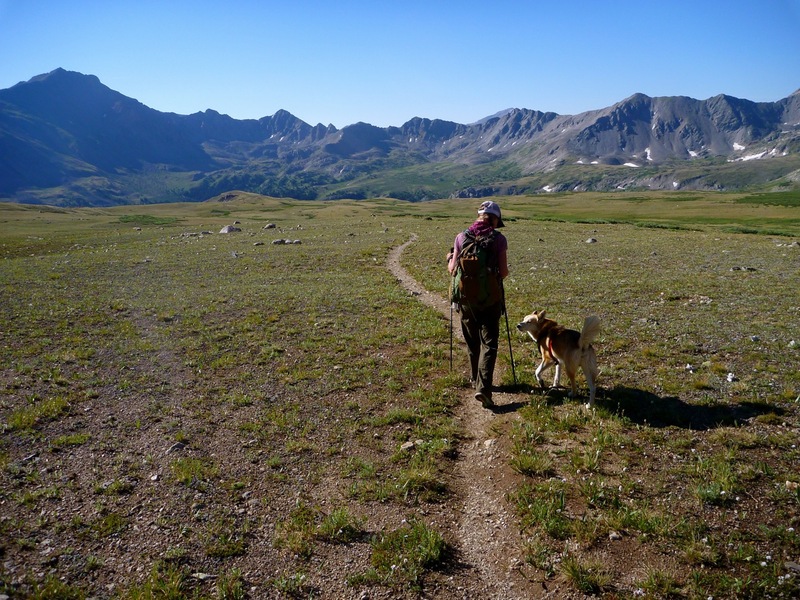 Missouri Basin has two things keeping it wild: a huge approach and no easy 14er access. 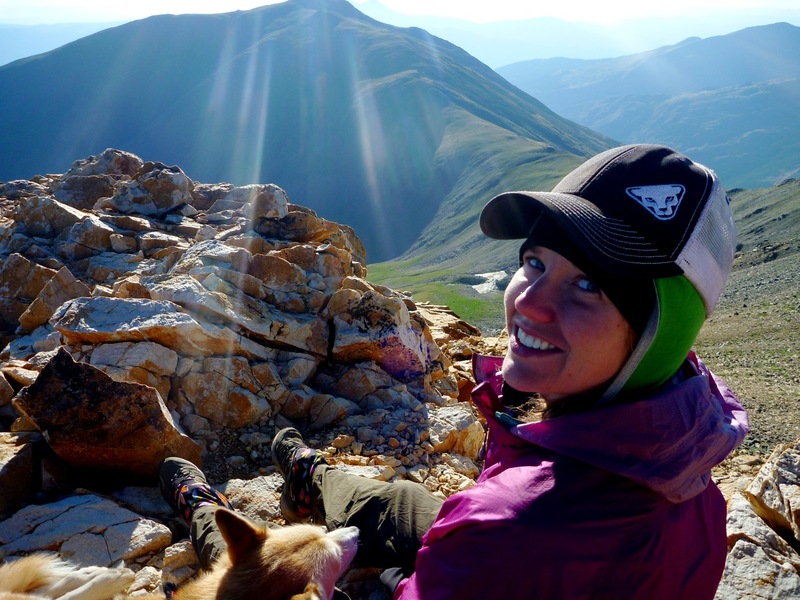 14ers attract people like spilled coke attracts ants. After hours of hiking through this landscape, soaking it all in, we came back onto the Colorado Trail – an old friend that we missed. Immediately I felt a surge of energy. We headed up a climb and then back down where we encountered the massive blowdown that had closed this section. 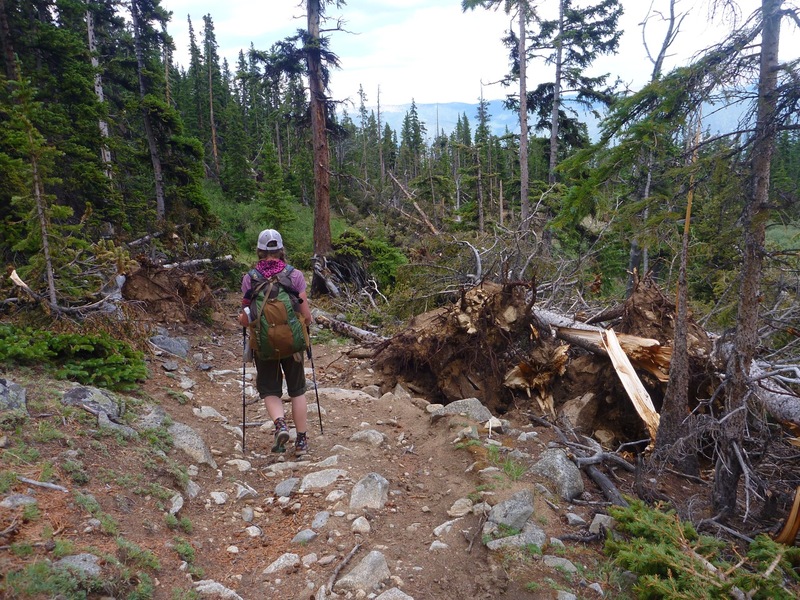 It must have been scary up here – 200 foot trees ripped out by the roots, a massive jumble of chaos, like steel scaffolding crumpled and piled up after a building demolition. A month ago this was all impassable. Since it's designated Wilderness, chainsaws are not allowed. Volunteers cleared all this with handtools. Nature is a funny thing. I'm sure the deer and elk hate the blowdown, as it makes travel all but impossible. Then again, the squirrels and chipmunks must feel like they've won the lottery with so many places to hideou from owls and hawks and eagles. We were feeling tired and hungry so we stopped at Frenchman Creek around 4 pm. It started to rain, but we managed to get the tarp up just before the deluge began…we seem to have good luck with that. Now it's relaxation time before what will hopefully be another good and filling dinner – note to self – next time being more cheese and variety in dinners. 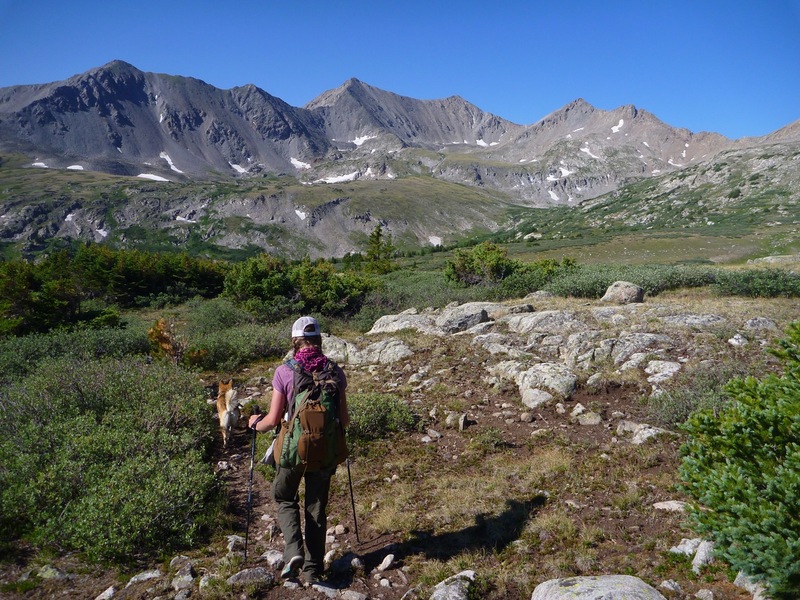 It was a good day – we climbed a 14er, saw much beauty and got back on the Colorado Trail after our diversion. The diversion was maybe not the wisest thing in the world – it added both miles and elevation to the normal route and we must be cautious with our cumulative effort – but we did see beauty that few have seen as a result. I must admit I'm feeling a bit blah with so many miles behind us yet so many more to go. I'm trying to stay in moment though. I'll be excited when we hit mile 243 – the halfway point – hopefully in a couple of days. 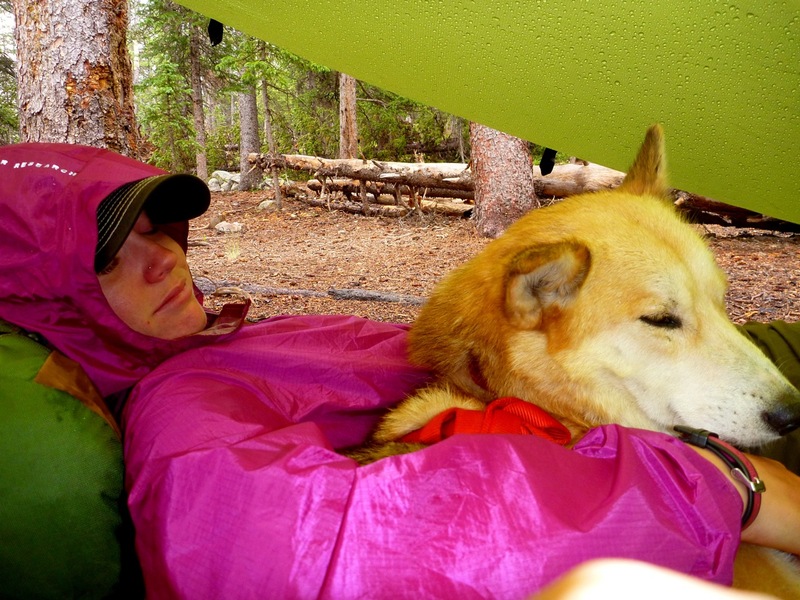 We crossed 200 miles today…we've now walked from Nederland to Vail and back again. Not bad. Sounds like a great day!!! 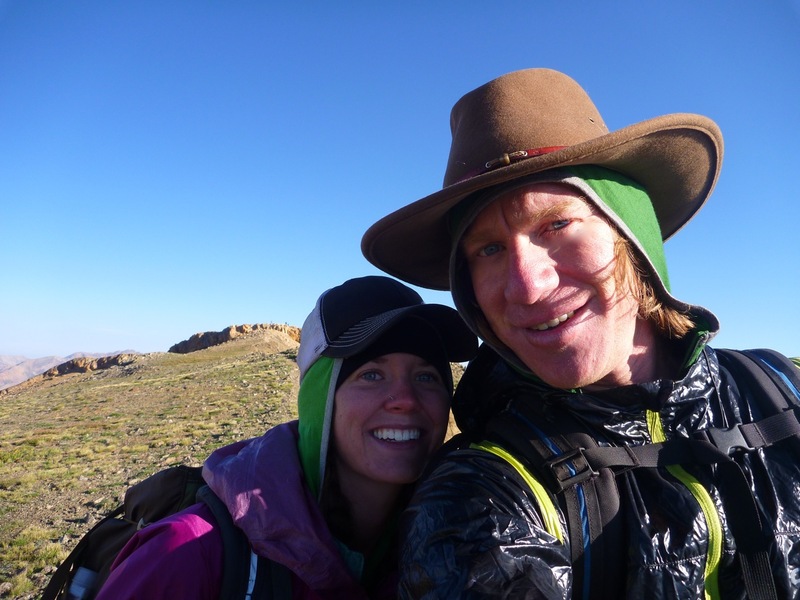 Loving your Colorado Trail recaps. This is definitely on my “someday” list. Thanks! Jill, I highly recommend it – you’d love it. 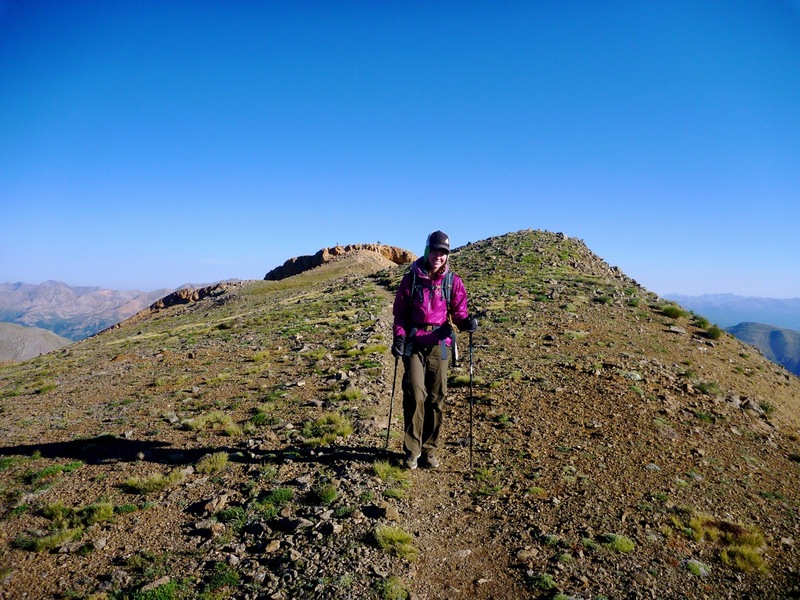 Having biked and hiked it, I might recommend a fast hike for you…the biking is great but the Wilderness sections are simply splendid and should not be missed.